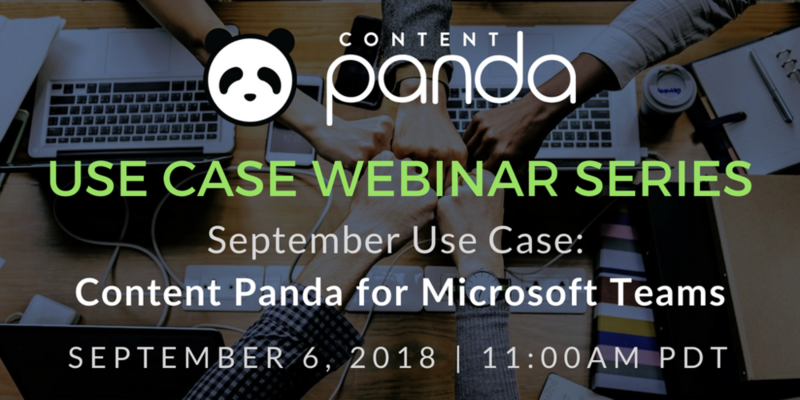 Originally hosted on September 6, 2018 by Content Panda. Watch the on-demand recording. Originally hosted on August 2, 2018 by Content Panda. Watch the on-demand recording now. Originally hosted on June 7, 2018 by Content Panda. Watch the on-demand recording now. Originally hosted on July 21, 2016 by Content Panda. Watch the on-demand recording now. Originally hosted on June 16, 2016 by Content Panda. Watch the on-demand recording now. Originally hosted on May 19, 2016 by Content Panda. Watch the on-demand recording now. Originally hosted on March 23, 2016 by Webtrends. Watch the on-demand recording now. Originally hosted on March 17, 2016 by Content Panda. Watch the on-demand recording now. Originally hosted on March 8, 2016 by Content Panda. Watch the on-demand recording now. Originally hosted on January 21, 2016 by Content Panda. Watch the on-demand recording now. Originally hosted on December 17, 2015 by Content Panda. Watch the on-demand recording now. Originally hosted on December 9, 2015 by Content Panda. Watch the on-demand recording now. Originally hosted on November 19, 2015 by Content Panda. Watch the on-demand recording now.